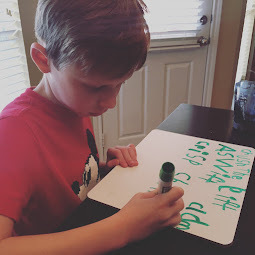 When I decided last Spring to homeschool (aka be home with my kids all day), one thing I quickly recognized that I needed was I needed a plan...a very very good plan. I started by asking myself: how do schools survive?? Certainly schools must have a secret I can incorporate at home? How did I once survive as a teacher with 30 kids all day everyday? Then, I remembered - they survive because have very predictable systems and regular schedules. So, I started making charts and lists and started reevaluating our systems at home. This summer, the kids were driving me crazy daily asking, "what's for lunch?!" So, I created a standard list on the fridge. The kids were needing my attention constantly saying, "I can't open this!" So, I stopped, sat down and taught them how. The kids constantly begged me for more time on their iPads, so we bought Disney's Circle so the system just turns off the internet after a designated amount of time. But, despite those changes, I kept running into the issue of: how do I help my kids take responsibility for themselves? How do I get this entire house working in such a way that everything doesn't always revolve around me? 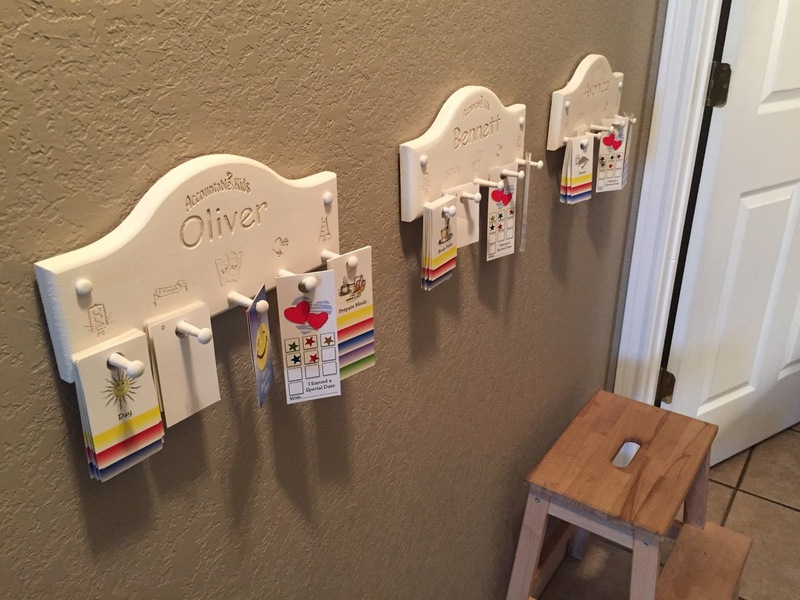 The way Accountable Kids works is that each child is given their own wooden board with pegs and a set of cards. On the child's board hangs the child's cards - things they have to do each day. The cards are divided up by time of day (morning, day, evening, for example). The cards (or chores) are determined by you, the parent. 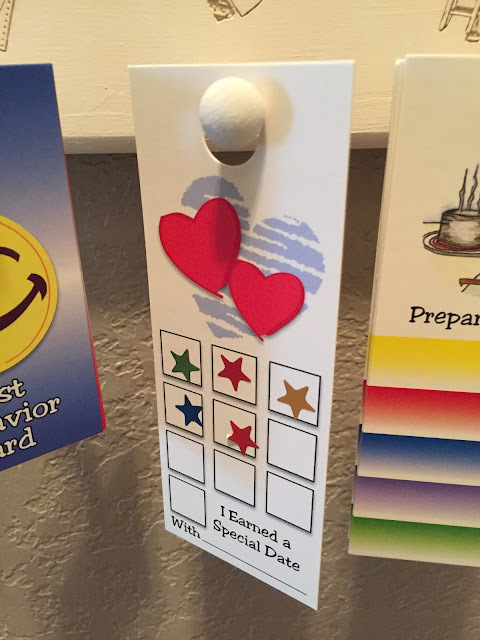 Whenever the child completes a chore, they turn over a card from the far left peg to the one on it's right. Once all the cards for a specific time period is complete, they can ask for a ticket (tickets hang on the middle peg). A ticket can be used for a set of predetermined privileges (for us, it's 30 minutes of iPad/tv/game time). If the child gets all of their tickets each day (we allow 3 per day), they get a star at the end of the day. After collecting a card worth of stars (10 total), they get to have a special one-on-one date time with Mom or Dad. 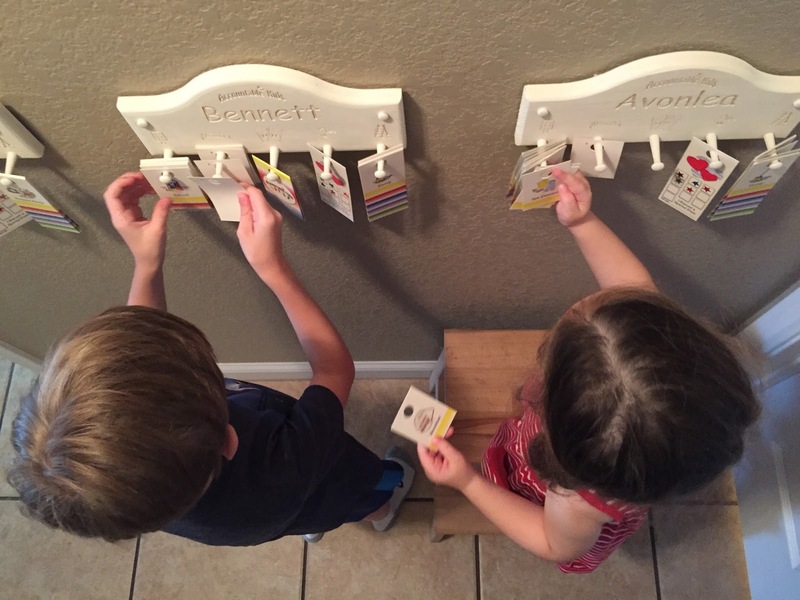 The system also allows for the earning of money for chores and for a weekly focus of one behavior the parent/child wants to modify (for us it was hitting for Avonlea, persevering for Oliver and using a respectful voice for Bennett). 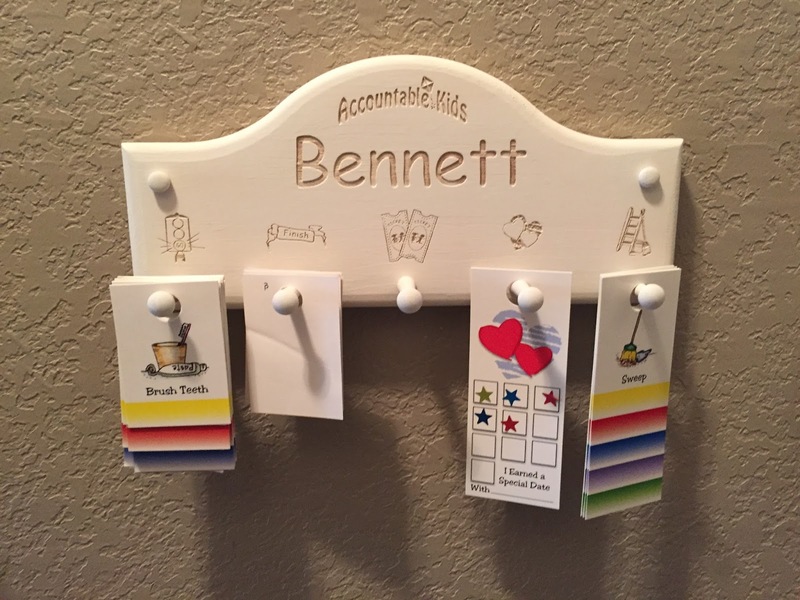 In addition to cards like, "Brush your teeth" and "Make your bed," blank cards are provided. I really appreciated this because I am trying to help Bennett be more responsible for his own CF care such as putting on his Vest and taking his twice-daily medications. 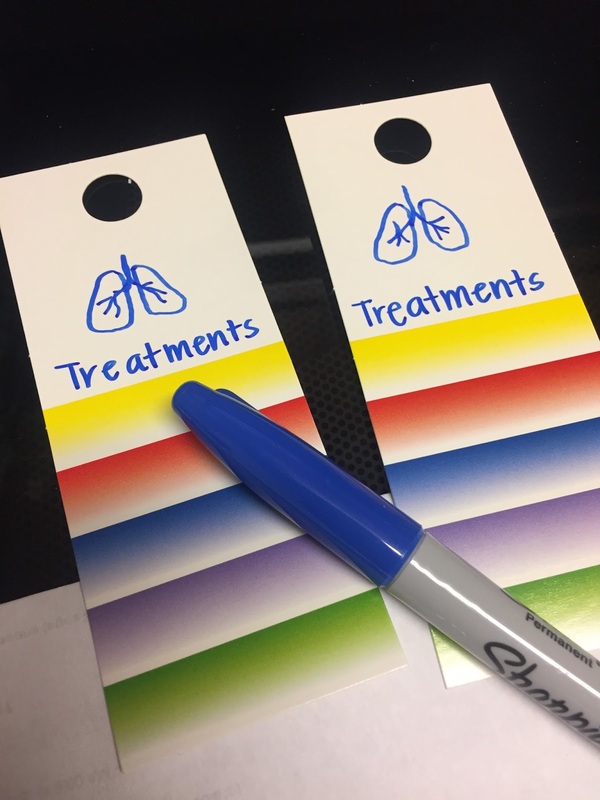 So, in the picture above, I made cards for Bennett's morning treatments and his afternoon treatments (pay no attention to my hand drawn lungs - ha!). Even if Bennett can't do something all by himself, it's nice when he prompts me to come help him. 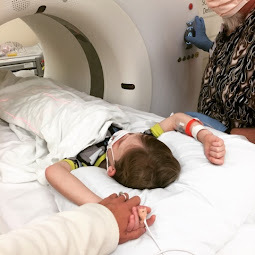 Not only does it make Bennett feel proud of himself, it actually helps me as his parent be more adherent to his medical care. It can be easy to miss a set of meds on a busy day. But when Bennett can't get iPad time without turning over his cards, he will ask me for his meds. I didn't love the look of the wooden boards as is. 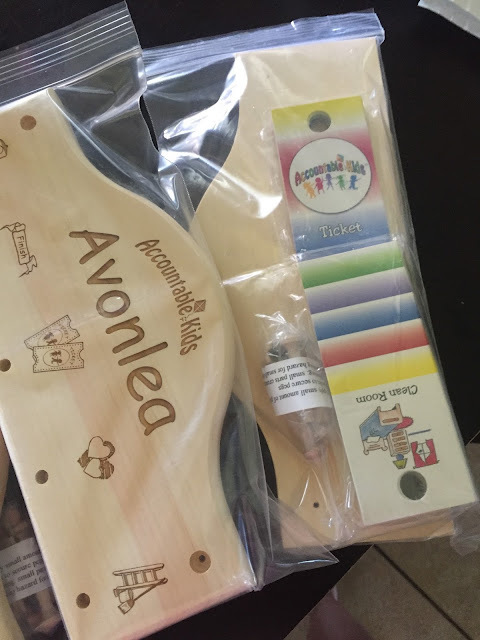 The system suggests that you allow the kids to decorate their own boards so they can have more ownership. But, considering the art skills of my children and considering you're also supposed to hang the boards in a common area, I decided not to follow that recommendation. 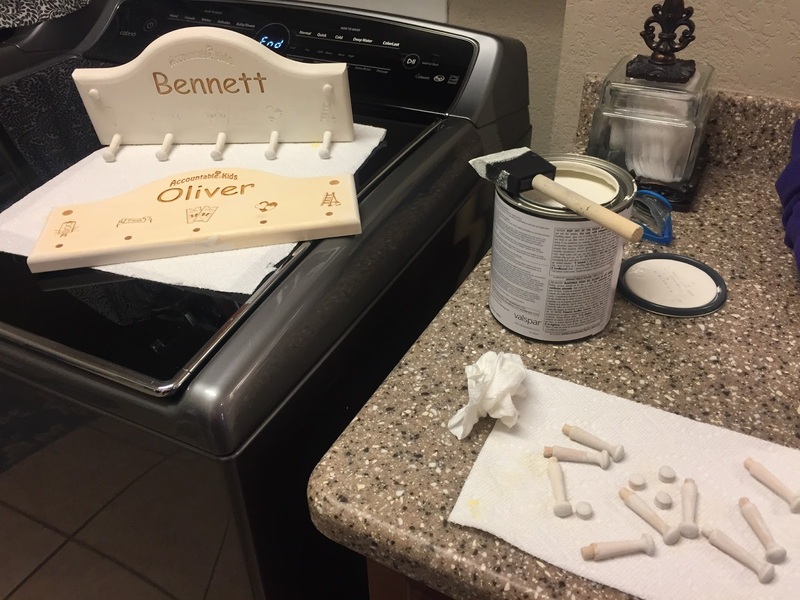 Instead, I painted them cream so they would blend in with our decor, which made them turn out surprisingly nice. Per another mama's recommendation, I hung them on the wall using easily removable velcro stripes as not to create any permanent holes in the wall. I have to say, this system has been really wonderful - the most sustainable chore chart I've ever seen. It has a lot of moving parts, particularly at first. But, it also feels rewarding. The kids are demonstrating a significantly more amount of independence. I do significantly less nagging and monitoring. Motivation is inherent into the system and it works very naturally. 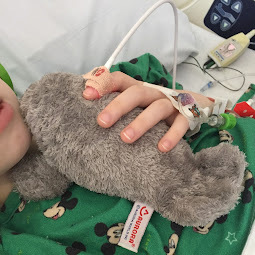 The first few weeks were hardest for Oliver (9). He doesn't like change, in general. And he certainly didn't like the idea he now had to earn his iPad time. But the other two (ages 7 and 3) seemed to love it, particularly Avonlea, who felt very proud of herself. After four months of using the system, the entire family has been very happy with it. This system has prompted many changes to take place in our family. But the most surprising change has been in our parenting. Before Accountable Kids, we didn't realize how much we gave our kids without asking them to work. 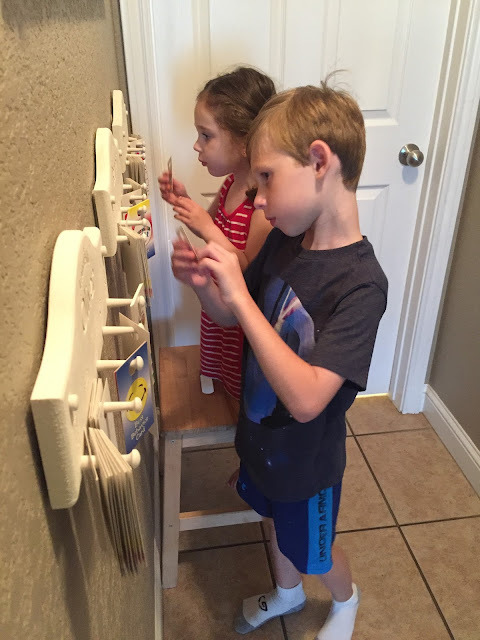 When Brian and I had to come up with a list of rewards for the kids, we began to find that task to be difficult. Ice cream dates, trips to the swimming pool, candy, movies, a playdate, lunch a Chick-fil-a...all of these things have never really been "earned" by our kids. In fact, they were things we've used to simply entertain them. They've been our baseline activities. And, on one level, I think that's ok. But, without some type of positive reward of some sort, kids won't stay motivated to participate in the chores of caring for themselves or our home.. So, we determined pretty early in to the Accountable Kids system that in order to create these things as rewards, we had to really cut back on these activities. We needed to get our children hungry for opportunities again. 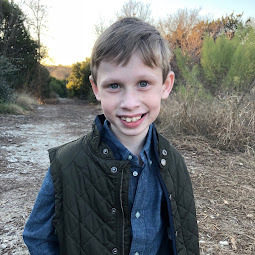 While Brian and I know the cost of a gift or activity, our children, quite naturally, did not know...mainly because we had never taught them the cost. They had never really been asked to give up anything in order to get what they want. *We* had to earn the money for the ice cream. *We* had to take the time away from other things to drive them there. But they hadn't given up anything. So, they're response to what we had sacrificed on their behalf could sometimes come off as being ungrateful, even though they weren't meaning to be. I have realized with Accountable Kids that really, their behavior in these situation isn't as much their fault as it is ours. We needed to teach them the cost of things by giving them a way to earn them. Inherently, by earning opportunities, they become much more grateful and recognize the gift they are being given. We aren't always successful with this program. But this process has made us slow down and restrict our own activities. I can't as easily entertain the kids or even pick up food on the way home. Now, I have to differentiate that some things are the regular things we do but many more things are things that have to be earned. The beauty of it is that now the ice cream date is much more special to them. And they are much more appreciative of a new toy. I think this system teaches them their own power in the world. With hard work, things they want can be earned.